Last year I had to travel to San Antonio, TX to see the Doobie Brothers. Okay, there were other things to see in San Antonio too, but the Doobies were a highlight. 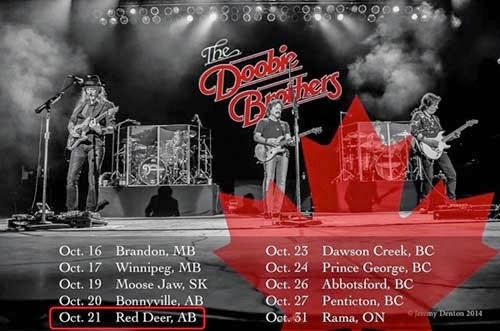 This year, the Doobies Brothers are coming to me, almost. Red Deer is about 89 miles/143 km from Calgary, so how could I pass up the chance to see them again? It's worth taking a day off work to Listen To The Music!